How will New Directions fare in Regionals? That's the question at stake on the first season finale, which we've fully recapped and reviewed. What did you think of the episode? Quinn tries to get in touch with her funky side on this episode of Glee. Also (gasp! ), Will attempts to seduce Sue and the squad learns that Jesse has gone back to Vocal Adrenaline! Ready for Glee to go Gaga? A bunch of Lady Gaga songs are at the center of this episode, as the club members don't hold anything back, dressing the eccentric parts. 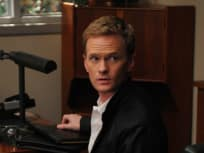 We have three words for this Glee episode: Neil Patrick Harris. 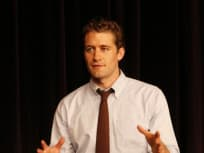 He guest stars as a former rival of Will's and performs multiple songs. Rachel loses her voice this week. As you might expect, this is the biggest nightmare for our favorite member of New Directions. Elsewhere, Puck does whatever he can to be cool. 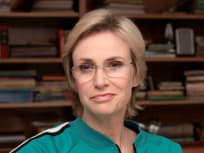 Olivia Newton-John shows up this week, helping Sue get over a humiliating incident from her past. Molly Shannon also guest stars, while Will is focused on a salacious list that's getting passed around school. Kurt tries to set up his father with Finn's mother on this week's episode. That's awkward. An entire hour devoted to Madonna songs? 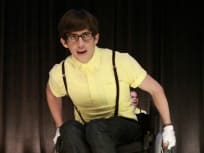 Sign us up for this Glee episode, please! The name of this episode says it's all. It's time for sectionals, folks! It's getting close to sectionals. This week's episode of Glee is titled "Mattress." Will checks out the competition on this week's episode. It features Eve as a guest star. Does Sue have a soft side? Glee viewers see one this week on "Mash-Up." There's a fight during this episode of Glee. We've got a detailed rundown of its events. 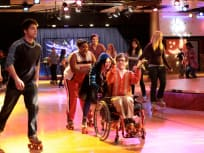 Will gives New Directions some competition this week on Glee. The episode is titled "Vitamin D."
The amazing Kristin Chenoweth guest stars on this episode of Glee. We absolutely adore her. 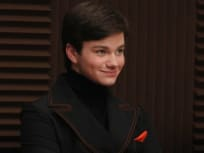 Kurt is featured prominently in this episode of Glee. The installment is titled "Preggers." This week's episode of Glee is titled "Acafellas." It features a pair of big-time guest stars. Read on for a full description of Glee's second episode. The installment is titled "Showmance." Let's take a look at the series premiere of Glee. It premieres on Fox following the finale of American Idol's eighth season. You have enough product in your hair to season a wok. Permalink: You have enough product in your hair to season a wok. Being a boy band did wonders for my love life... we started doing it once a week. 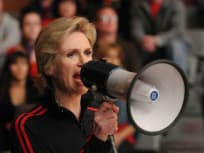 Glee Season Finale Review: What a Journey!